This a simple cheesy fairy tale I made up for a couple of nine year old girls I had the privilege to spend the day with.Those who watch Korean Dramas will appreciate the suitably tragic and annoying ending.All the images in this post are not mine they are borrowed from various Kdrama fan sites and are subject to copyright. 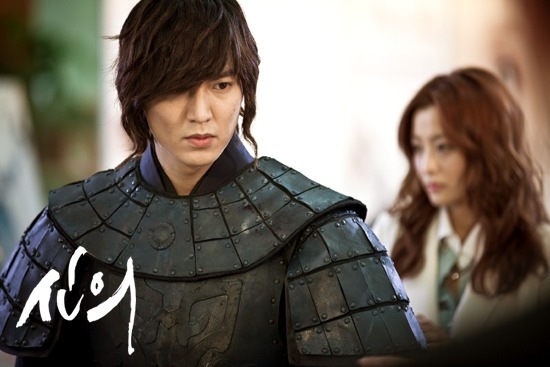 The images are from three popular sageuk dramas. Once upon a time in a very far away land there lived a very ordinary girl. She was very intelligent and pretty but she did her best to be average and she did very well at being average in every way. She managed to lead a very obscure existence and never stood out in anything she did. She chose to live her life this way because it was easier to never have to compete for place or position with anyone and as a result she never made any real enemies. This girl lived in the city right next to the King’s large castle and everyday she admired it from afar. One day while passing by the gates of the castle she saw a large notice, inviting all the young people of the land to the castle to show the king their God given talents so that he could pick the most outstanding of them to serve the country. Now the girl had heard many stories about the beautiful palace and the handsome prince who lived within. She was not particularly interested in obtaining a high position or proving herself to be exceptional, all she wanted was to see the inside of the castle and to see the handsome prince. She therefore applied for the contest and after a long wait she eventually received a beautiful invitation card to the palace. In reality this girl was particularly talented at telling stories and painting, but she did not prepare herself. She rushed through her presentation to the king so that she could get a chance to view the castle and hopefully get a look at the prince. “Oh tell me more!” the girl begged but a palace servant came to inform her that it was time for her and her group to leave the castle. He also informed her that the king had been very unimpressed with her presentation and so she should not expect any invites back to the castle ever again. “But I must come back to see the prince” she cried out in horror, suddenly all her years of deliberately being average were coming back to kick her in the backside. “How do I get invited back there? She asked herself and others around her. “Develop your talents” people told her “you are smart and you are pretty you can do anything you want. “Paint like you have never painted before” suggested her grandmother, who was fed up with her obsession to see the prince. Her grandmother really wasn’t sure that the girl’s painting would get her back into the castle but she just wanted to put a stop to her questions. The girl took her grandmother’s suggestion to heart and begun to paint and boy did she paint. She painted portraits of sailors, of maids, of babies, of lords and ladies. She painted beggars, robbers and anyone who would pose for her. The more she painted the more she got lost in her art and the more realized how much she loved painting. As her talent developed her desire to see the prince was quite forgotten and her passion for art took over. Two years later she was famous throughout the land and anyone who was anyone wanted her to paint their portrait. Soon word of her brilliance got to the king and queen and she was commissioned by the palace to paint their royal portraits. She painted the portraits of the king and the queen and soon it was time to paint the prince. The girl poured all her energy and passion into this painting and everyday the Prince posed patiently while she worked. As he watched her enjoyment in her work, he quickly came to admire her dedication and slowly admiration turned to liking and liking to love “but how can I tell her how I feel? He asked himself, “It is obvious that painting is her first love”. He therefore resolved not to say a word about his feelings for her, instead he decided to make the most of the time he would get to spend with her during the remaining portrait sessions. Soon the portraits were finished and the day of the unveiling of the royal portraits soon arrived. An elaborate feast was planned and all the important people in the land were invited to view the portraits of the royal family. The girl wore a beautiful dress and her hair and makeup were all done up. She also made sure she supervised the placement of the paintings in the best viewing positions that were available in the great hall. The prince sat on throne beside his parents and just looked longingly at the girl wishing that she was next to him. The feast was a success and soon came the time for the unveiling of the portraits, but before this could happen, there came a loud sound of trumpets and the sound of battle shook the air and moments later the doors of the great hall burst open and a tall knight clad in black armour stomped into the hall followed by many soldiers. It was the evil dark king of the North and he had taken advantage of the fact that the kingdom would let their guard down during the feast day and he had launched a full scale attack on the Kingdom. He proceeded to rob and beat the people in the palace just as he had done to those outside the palace. He then torched the portrait of the king and queen. However when he tried to unveil the portrait of the prince, the girl threw her-self at his feet begging him not to burn it. “Why is this one so important? Roared the black king “let me see it!” and he pulled of the covering cloth very fast. The prince’s cry of anguish at the dark King’s words was terrible to hear as he rushed to the side of his beloved and she died in his arms, a certain peace in her eyes as realized that he loved her too. The anguished prince launched himself at the crazy black kingand his rage gave him such strength that his opponent was no match for him and he killed him with his own sword. He then picked the body of the girl and buried her within the most beautiful garden within the palace grounds. His servants placed his portrait above her tomb and he visited her there till the day he died. All through his lifetime he never loved another and so he never married. It is said that on his deathbed he died with a smile on his lips, knowing that he would finally see his love again. Very well written. What? I’m annoyed at that ‘twist of fate’. And the photos don’t help either, I was so engrossed! Thanks for the compliment. 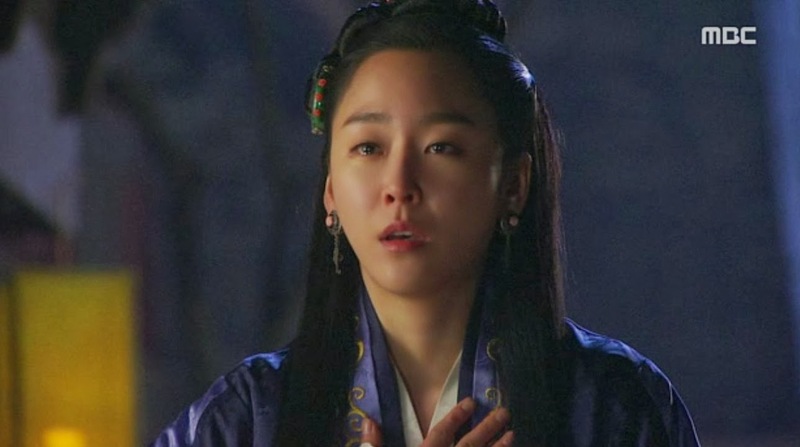 As for the twist of fate you should watch those Kdramas that inspired it they are so maddening your central character can die in episode 50 of a hundred episode story 🙂 I have learned from the best.